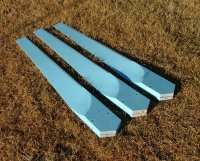 The best performing turbine blades the home builder could make are carved timber blades. With timber you can achieve a near perfect set of blades, but the process is very labour intensive and requires some timber working skills. Timber is a very good blade material, its flexible and durable, to find out how more about hand carving timber blades visit Hugh's web site. There has been some development in using large diameter PVC pipe as blade material. 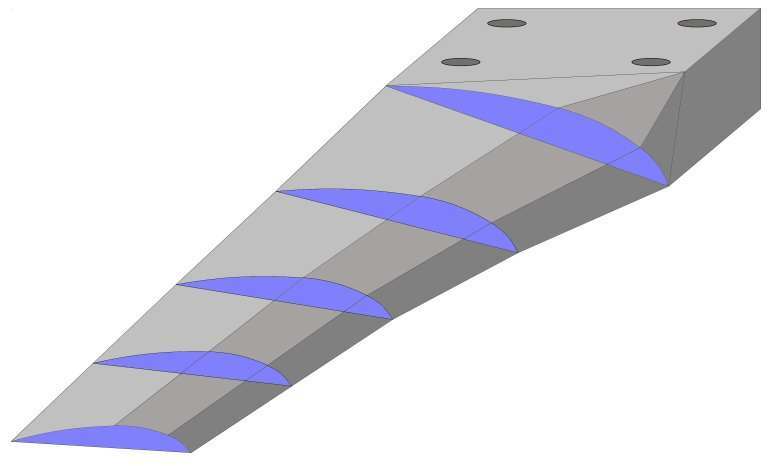 By cutting a PVC pipe lengthways and reshaping the leading and trailing edge with a file, you can achieve a near perfect blade profile, and the process is so simple you could make a complete set of blades is an hour. You would need some large diameter thick wall pipe, 250mm diameter and 10mm wall thickness. A concern it that PVC is a bit of an unknown for durability. 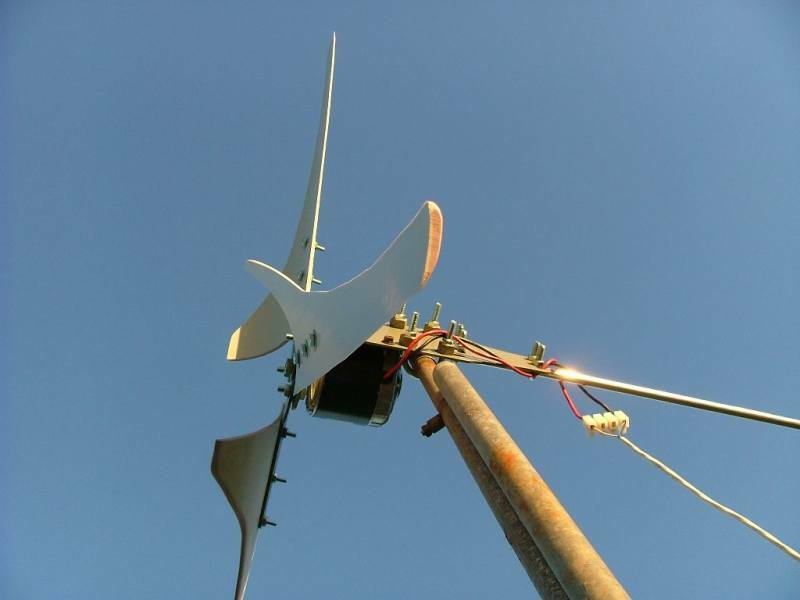 UV light will weaken the PVC and it may shatter, sending sharp PVC splinters in all directions, so a safe operating life of 2 years or less is expected. .
Blade angles and cord need to be calculated to suit your windmill. You can download a blade calculator here. Its an excell spreadsheet so you will need to have Excell installed ( part of MS Office ). The formulae used is based on the work of others, so I cant guarantee its accuracy. You can also download a blade calculator from Warlock's site. These are timber blades made to Hugh's instructions by forum member Dennis Latham. A lot of work but good results. A set of plastic blades similar to those used on the Air-X range of windmills. They run at a very high speed. 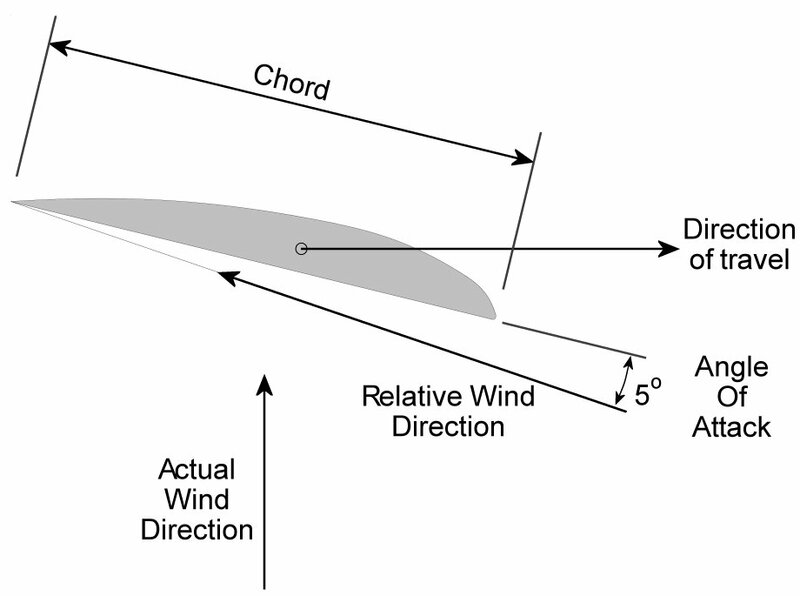 Diameter is 1.5 meters and performance is very poor in low winds. Not recommended for a serious windmill. 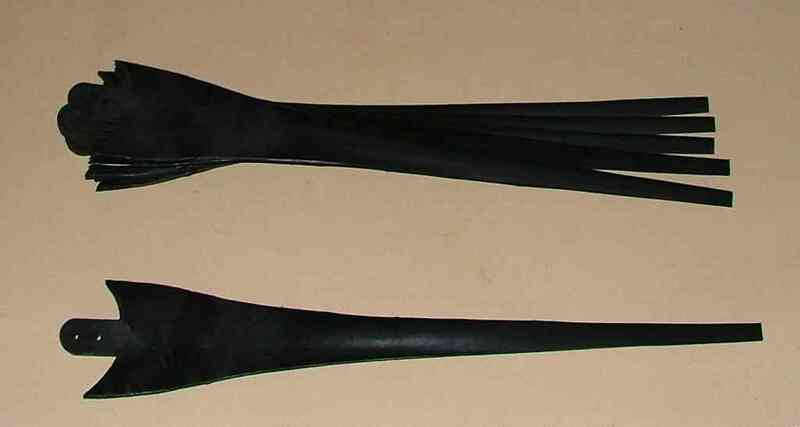 PVC blades. These are the easiest to make for small windmills. You can see the aerofoil shape in this photo. Diameter is 1.2 meters. 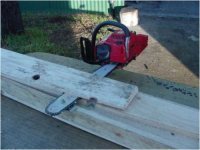 Timber blades made with a chainsaw? Another forum member Oz-tules developed this technique as a quick and easy way to rough cut the basic blade shape. Very effective and good results. More details here. New on the scene are these extruded PVC blades. The blades use a well proven GE222 profile and work very well on turbines 200 to 2000+ watts. Details here. 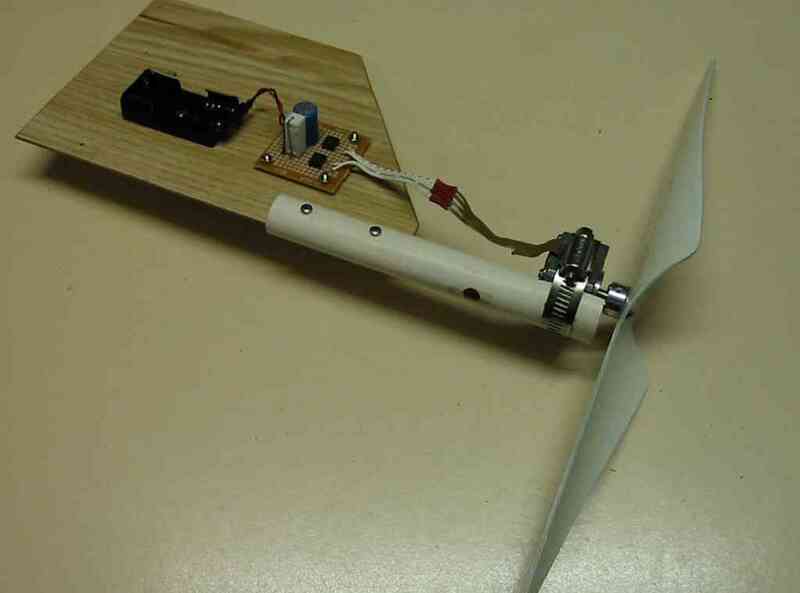 If you just want to make a set of simple blades to get your windmill going, click on the image below. It shows how to make a set of blades from 18mm ply wood that might not be as good as properly carved blades, but will work well neverless.